Here at McCabe’s we understand that buying a used vehicle can be a scary thought, but also a large financial burden. Our job is to make sure you aren’t buying a lemon! Although we don’t have a crystal ball, our pre-buyer inspection can identify current problems. 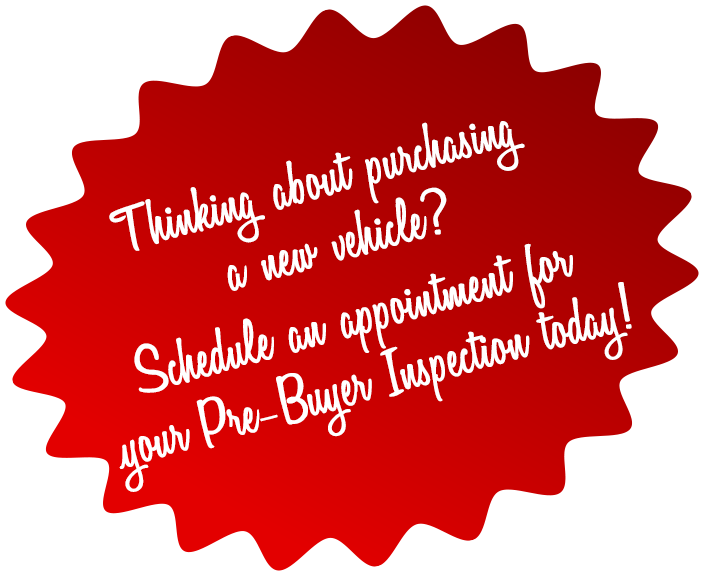 A pre-buyer inspection includes a comprehensive full vehicle inspection prior to the purchase of a new/used vehicle completed by a certified technician along with a road test if safe.